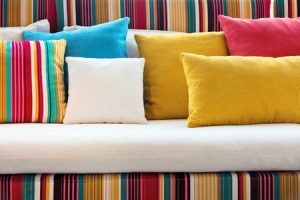 Home / Hardware, Industrial and Manufacturing / How often should you replace cushions, pillows, duvets, and mattresses? You should clean the pillow every three months, and the pillowcase every three weeks. Check the label on your pillow and only use the machine if it is compatible with machine washing. Often, even pillows you can wash need plumping after. Those who suffer from dust-mite allergies will want to wash the pillowcases and lined twice a week. The same process applies for cushions. Clean the cushion cover every three weeks. However, check the care tag of the cushion filling and follow those instructions as there is a lot of variance in the mixture manufacturers use. Follow the instructions on cleaning your cushion cover if it differs from your normal process. Eventually, you will need replacement cushions if they don’t retain the same shape for long. Get the most out of your mattress by cleaning it regularly and following the recommended rotation schedule. However, there will come a time when you will need to change the mattress. The recommendation is to change your mattress every seven years, although some use the same mattress for over a decade. You can use memory foam mattresses for much longer than spring mattresses. Previous article Can A Plane Operate Without an APU?